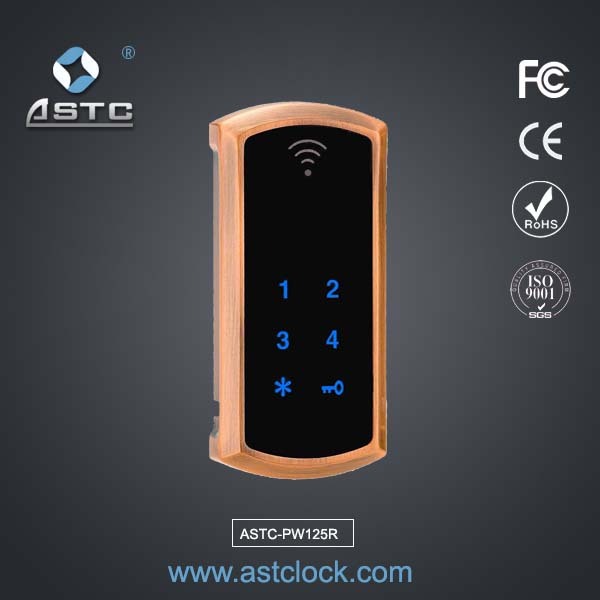 ASTC Digital keypad cabinet door lock Unlock method: Mifare/Password. 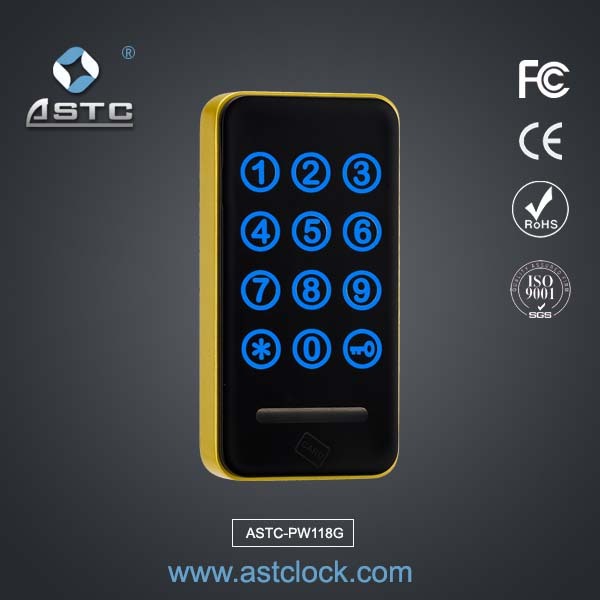 DC6V 4*AA battery, can be used for over 12000 unlock door times, more than 1 year. 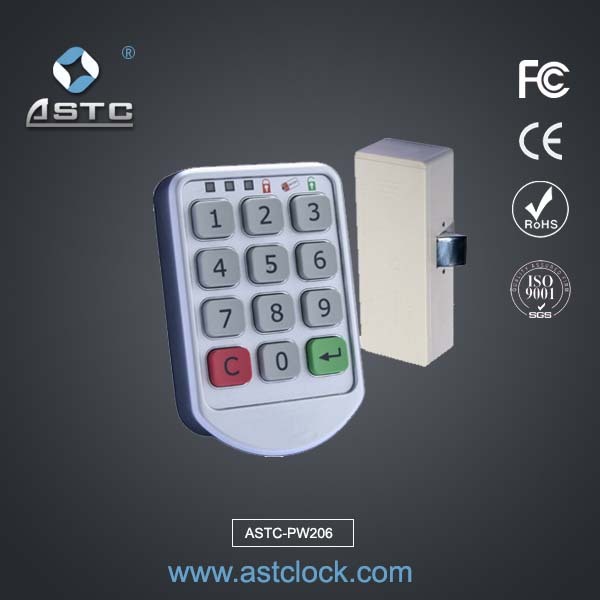 Attached power supply head is prepared. 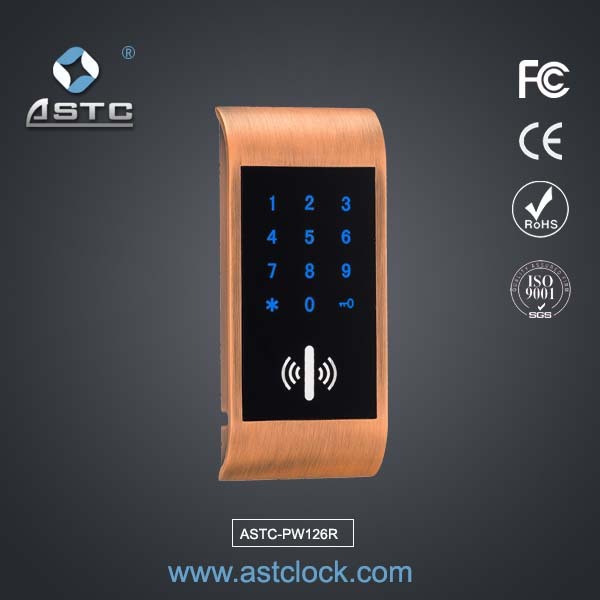 Digital keypad cabinet door lock Application: Swimming pool, Sauna bathing spot, golf course, gymnasium locker, enterprise, school,hotel, supermarket storage cabinet etc.